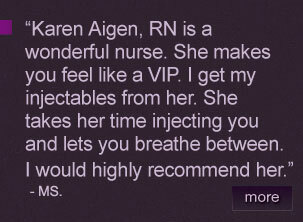 Utilizing the latest laser technology to minimize down time and achieve natural youthful results. 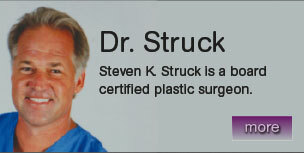 Steven K. Struck, M.D. a Stanford-educated, board-certified plastic surgeon conducts one-on-one consultations to best determine each individuals goals and expectations. His practice, which he opened shortly after finishing his residency in 1996, embraces innovations. 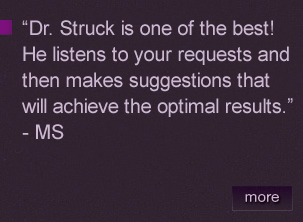 In addition to procedures such as abdominoplasty, breast augmentations and other surgeries of the body, Dr. Struck’s passion is to create youthful skin that lies naturally on a face by individualized treatment. He often combines lasers with surgical techniques. 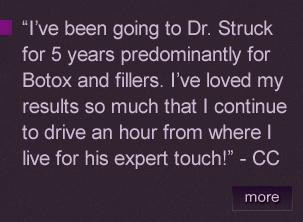 “There are things a facelift can do that lasers can’t.” Dr. 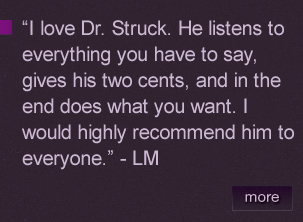 Struck believes in creating a natural and youthful appearance by combining lasers with endoscopic surgical techniques.